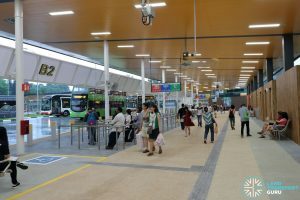 Choa Chu Kang Bus Interchange is situated at the Choa Chu Kang Town Centre, serving residential areas around Choa Chu Kang, Yew Tee, Teck Whye, Bukit Panjang, and industrial areas around Sungei Tengah, Sungei Kadut. 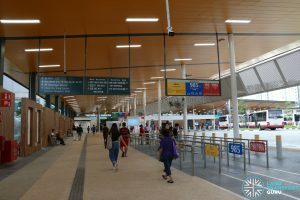 The interchange is located at the junction of Choa Chu Kang Drive and Choa Chu Kang Loop. 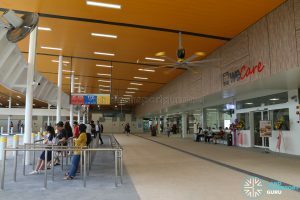 The sheltered concourse building is located just next to Choa Chu Kang MRT Station and Lot One Shoppers’ Mall. 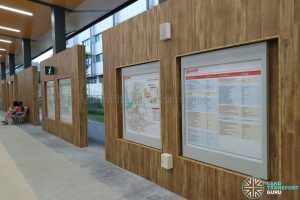 Nearby public amenities include Choa Chu Kang Town Council, Choa Chu Kang Public Library and Choa Chu Kang Park. 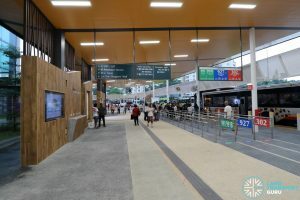 This interchange replaces the former Choa Chu Kang Bus Interchange which will be demolished to make way for the future Jurong Region Line station, scheduled for completion in around 2025. 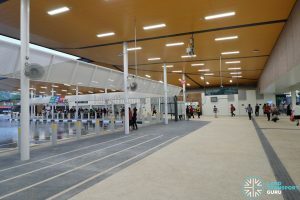 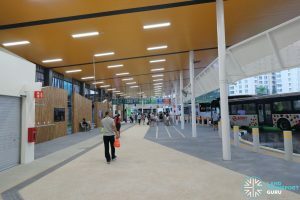 The new Bus Interchange opened on 16 December 2018. 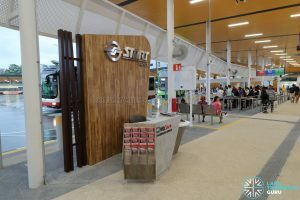 Currently, SMRT Buses is the anchor operator of Choa Chu Kang Bus Interchange. 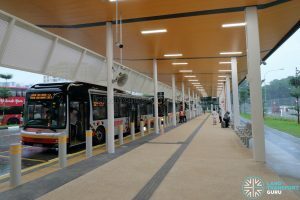 With the rollout of the Bus Contracting Model (BCM), the future operator of the Choa Chu Kang – Bukit Panjang Bus Package will take over as anchor operator of this interchange. 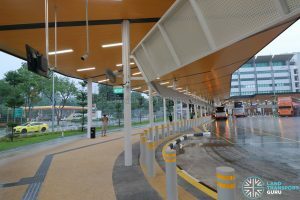 The new Choa Chu Kang Bus Interchange is a Bus Interchange located in the residential town of Choa Chu Kang. 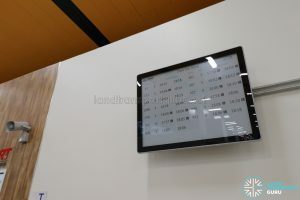 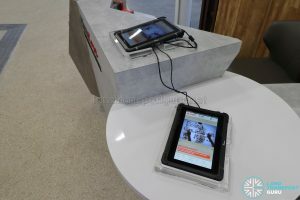 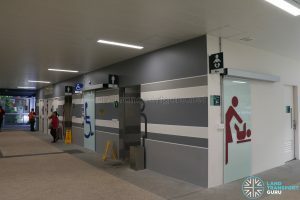 Connecting with Choa Chu Kang MRT Station along the North-South MRT Line, the interchange is a transport node for commuters heading in and out of town, allowing for convenient transfers between the rail network and the many bus services at the interchange. 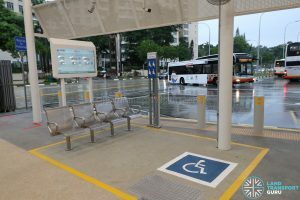 LTA Contract DE102 for the Proposed Design and Construction of Bus Interchange and Associated Works at Choa Chu Kang was awarded to a Joint Venture of Kimly Construction Private Limited / Meinhardt Infrastructure Pte Ltd for S$14.7 million. 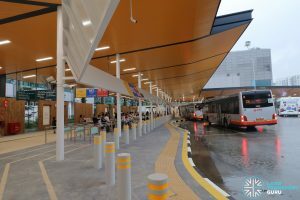 The interchange features 24 parking lots for 12-metre buses and 6 parking lots for articulated buses. 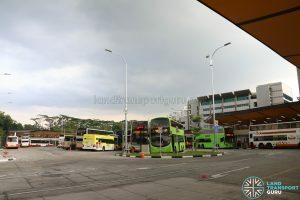 Choa Chu Kang started with roadside bus terminal along Teck Whye Avenue in 1988 with a handful of bus services (e.g. 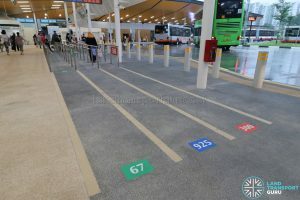 75, 179, 185). 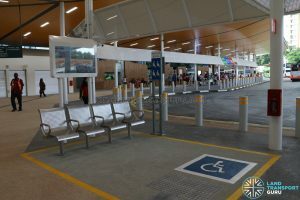 The roadside terminal was later moved to Choa Chu Kang Avenue 4 after the opening of Choa Chu Kang MRT station in March 1990. 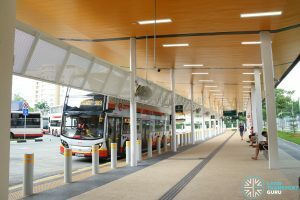 On 8 April 1990, Choa Chu Kang Bus Interchange opened under Singapore Bus Service (SBS) control. 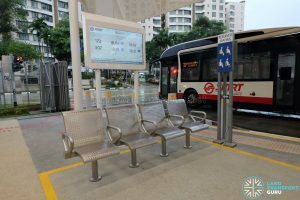 In late 1999, the interchange and its bus services were progressively handed over to Trans-Island Bus Service (TIBS) in exchange for bus services in Sengkang and Punggol as areas of control were redrawn after SBS was awarded the operating license for the North-East Line. 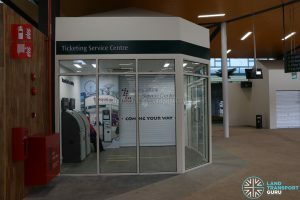 Service 190 was transferred on 25 Jul 1999, followed by Services 185, 300, 302 & 307 on 29 Aug 1999, and Services 67, 172, 175 & 188 on 26 Dec 1999. 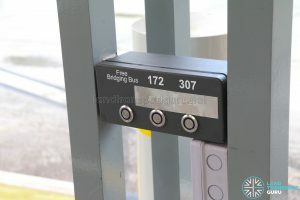 Service 175 is now Service 975. 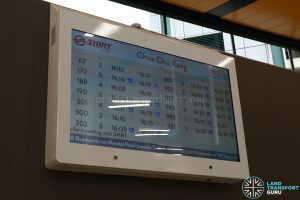 Service 185 was amended to the present-day 985. 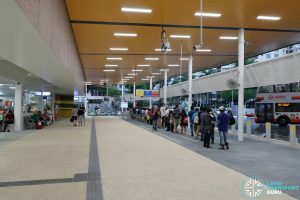 To facilitate the construction of the Jurong Region Line (JRL)’s Choa Chu Kang Station, the old bus interchange was closed. 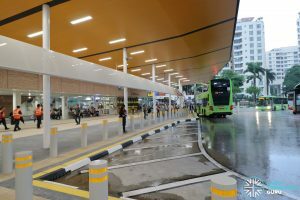 A new, relocated Choa Chu Kang Bus Interchange was opened at the junction of Choa Chu Kang Drive and Choa Chu Kang Loop, opening on 16 December 2018. 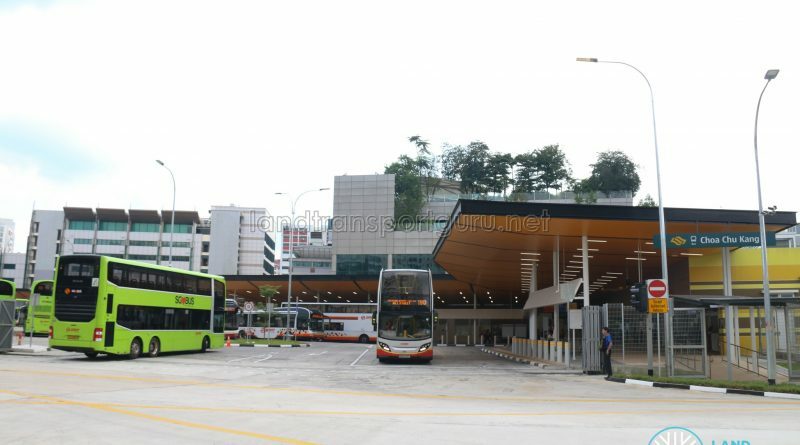 Prior to full demolition, the bus parking lots at the old Choa Chu Kang Bus Int would be converted to a temporary car park as a replacement for the Block 303 Multi-Storey Car Park which is slated to be demolished as part of the JRL works until a permanent car park is built in the vicinity. 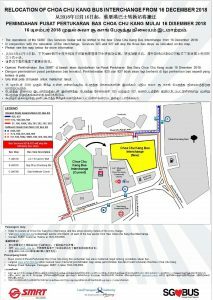 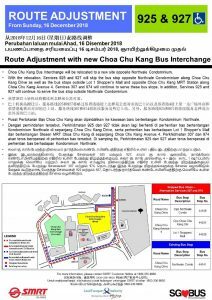 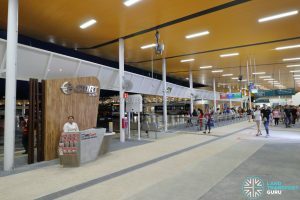 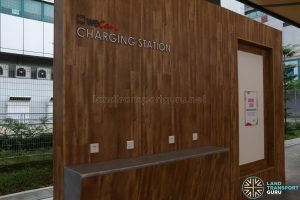 Choa Chu Kang Temporary Bus Interchange? 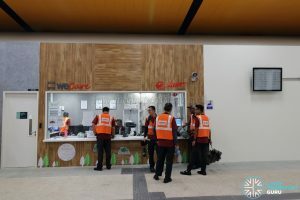 Long known to be a Temporary Bus Interchange, the relocation of Choa Chu Kang Bus Interchange to its new facility appears to be the first time that the Land Transport Authority (LTA) has dropped the use of the “Temporary Bus Interchange” namesake. 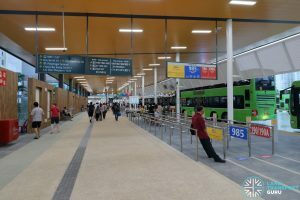 It is perhaps due to the connotation that Temporary Bus Interchanges will be shortly replaced by newer, permanent Integrated Transport Hubs, which has not been the case in the past, like Punggol Temporary Bus Interchange (which opened in 2003 and even received an expansion in 2017). 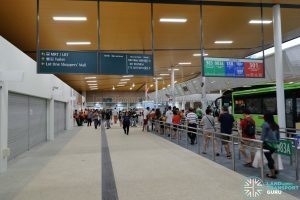 In addition, Jurong East Bus Interchange will be relocated for a second time within a few short years, after plans to integrate the bus interchange within a new nearby development did not come to fruition. 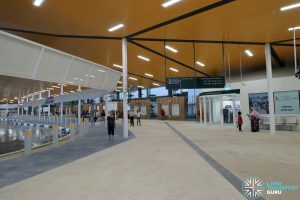 The new Integrated Transport Hub will be built on the site of the first Temporary Bus Interchange. 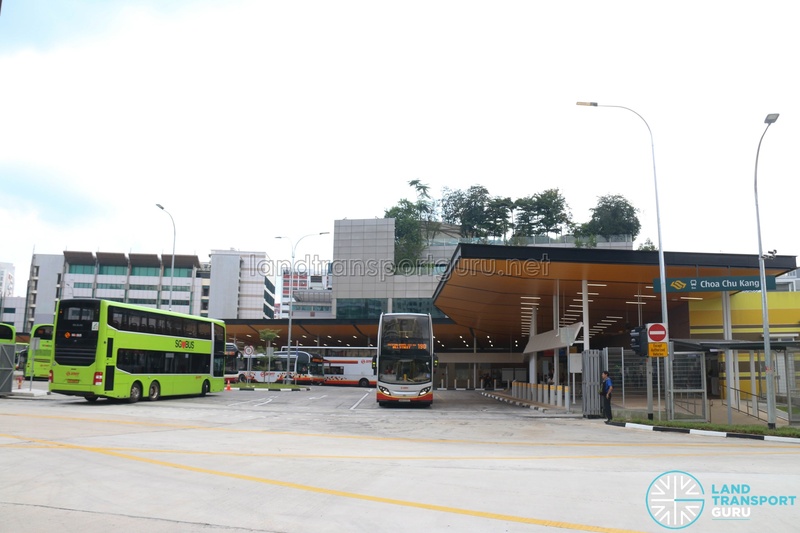 Presently, the LTA is reviewing the redevelopment plans for Choa Chu Kang Town Centre, which will include an assessment of the viability of developing Choa Chu Kang Bus Interchange into an Integrated Transport Hub. 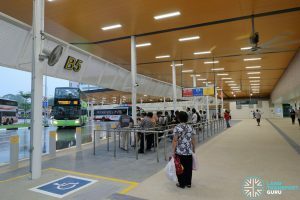 Bus Services BPS1 and NR3 only allow passenger alighting at this interchange. 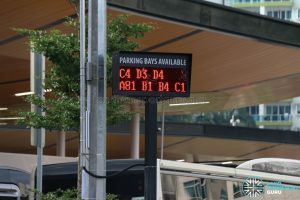 During Weekdays PM Peak, commuters may board Bus Service BPS1 from Bus Stop 44539 – Lot 1 Shopper’s Mall along Choa Chu Kang Avenue 4. 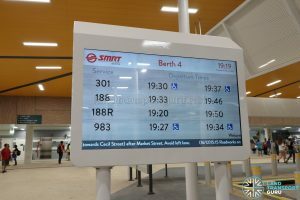 Express Bus Service 188e only allows passenger boarding as a unidirectional route. 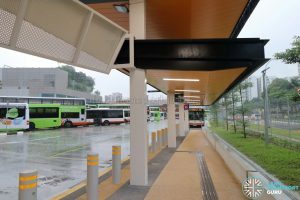 Bus Service 925 does not call at this interchange on Sundays and Public Holidays. 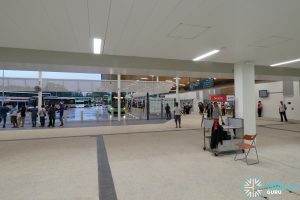 More Photos (Construction Progress) on Page 2.